Arctic air has invaded New York City. Even though summer is months away, I’m desperately trying to steer my thoughts towards warmer weather. Since so many New Yorkers book beach vacations in January and February, there’s no time like the present to dream of a trip to the tropics. Even if you aren’t in a position to jet away for a week of sun and sand, you can escape the cold mentally through a look at these stylish bedrooms with a tropical island theme. 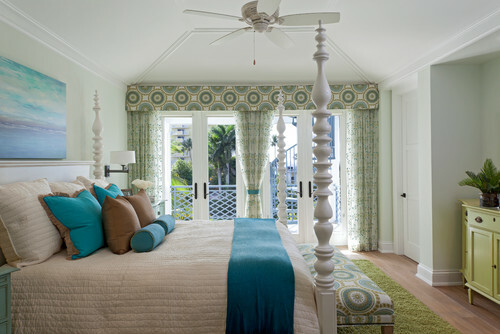 Tropical Bedroom by Boston Interior Designers & Decorators Gary McBournie Inc. 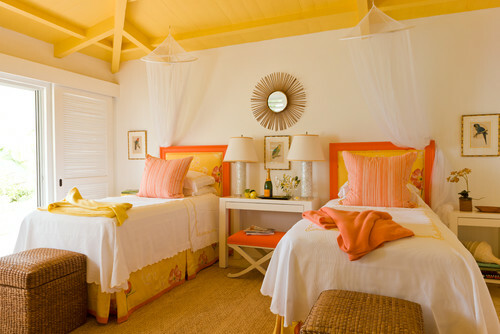 This Caribbean twin bedroom by Gary McBournie boasts a happy feel with its orange and yellow color scheme. A natural-fiber rug and the mosquito nets complete this charming escape. 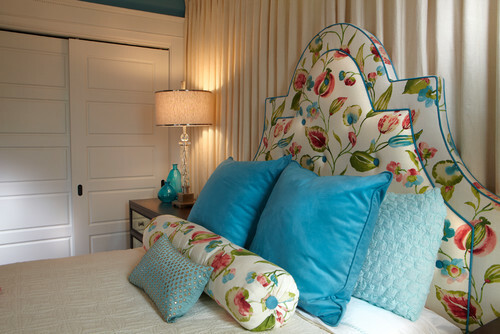 Colors of the sea decorate this large coastal bedroom in Tampa, Florida. Shades of blue and green keep the space feeling calm yet chic. Inspired by the Bahamas, this room exudes cheeriness but with a Caribbean feel. Can’t you just see yourself sipping a Pina Colada while relaxing on that bed? I don’t miss bold colors in this bedroom because the white scheme and dark wood are attractive, giving the space a West Indies feel. An accent pillow and a few books introduce a touch of color to the otherwise neutral space. Have you ever been to Barbados? This luxurious room in the Coral Reef Club looks like the ultimate spot to spend an extended weekend. 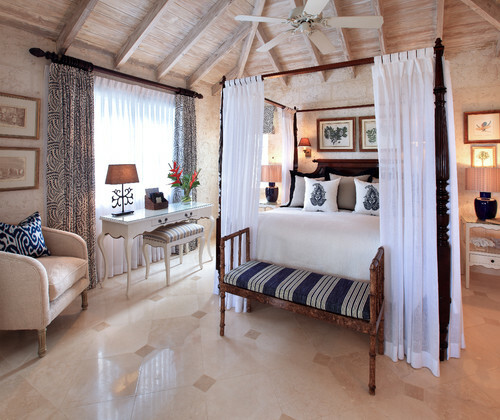 Subtle Caribbean influences in the material choices and furniture make the suite feel welcoming and stylish. When do I leave?